Bangkok, Thailand June 18, 2011 - Out of either desperation or immeasurable hubris, Secretary of State Hillary Clinton has just attempted to rewrite the last 3 months of history, contradicting her own department's statements made during the onset of the Syrian unrest. Within the pages of the London-based, Saudi-funded Asharq Al-Awsat newspaper, Hillary Clinton joined Barack Obama, Nicholas Sarkozy, and David Cameron in the bizarre trend of Western leaders writing newspaper editorials in an attempt to reinforce the ever changing, ever contradicting official narrative. Clinton's article titled, "There is no going back in Syria," oafishly parrots month old corporate-funded think-tank talking points with the addition of hamfisted reversals on the US State Department's own narratives. One paragraph in particular is so astoundingly dishonest and contradictory it almost defies explanation. Clinton states, "If President Assad believes that the protests are the work of foreign instigators -- as his government has claimed -- he is wrong. 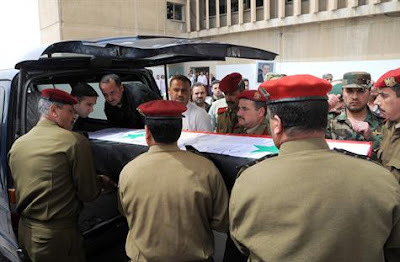 It is true that some Syrian soldiers have been killed, and we regret the loss of those lives too. But the vast majority of casualties have been unarmed civilians." 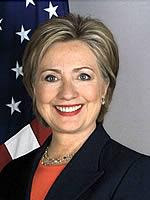 However, it was Hilary Clinton's own State Department according to an April 2011 AFP report, that said the "US government has budgeted $50 million in the last two years to develop new technologies to help activists protect themselves from arrest and prosecution by authoritarian governments." The report went on to explain that the US "organized training sessions for 5,000 activists in different parts of the world. A session held in the Middle East about six weeks ago gathered activists from Tunisia, Egypt, Syria and Lebanon who returned to their countries with the aim of training their colleagues there. They went back and there's a ripple effect." Quite obviously the "ripple effect" the State Department is referring to is the destabilization occurring throughout the region, including across Syria. Additionally, after the Washington Post released cables indicating the US had been funding Syrian opposition groups since at least 2005 and continued until today, US State Department spokesman Mark Toner defended the funding which started under the Bush regime when Syria was added to the "Axis of Evil." Toner stated, "we're not working to undermine that [Syrian] government. What we are trying to do in Syria, through our civil society support, is to build the kind of democratic institutions, frankly, that we're trying to do in countries around the globe. What's different, I think, in this situation is that the Syrian government perceives this kind of assistance as a threat to its control over the Syrian people." Unfortunately for Toner, funding foreign opposition groups and inciting political upheaval is far from a benign act, and more akin to an act of war. It would be unimaginable for another nation to engineer a certain variety of government within the United States because it felt it was more "proper." Such meddling is a direct violation of a nation's sovereignty and those within the target nation assisting such meddling are universally known as "traitors." Extraordinarily, Clinton manages to both confirm and deny the violent nature of the protests by stating that while Syrian troops have died, the vast majority of the deaths (according to unverified reports by the protesters themselves) were "unarmed civilians." Clinton's own admission that Syrian soldiers have died indicates that indeed there are armed groups amongst the protesters. Just as in Bangkok in 2010, during another foreign-funded color revolution, militant gunmen are attempting to escalate the violence intentionally, targeting both protesters and security forces. This is in hopes of reaching a critical mass of violence sufficient for justifying a wider use of overt violence or possibly foreign intervention. The inability of the US State Department to verify any of the claims coming out of the mostly London-based Syrian opposition is coupled with the impossibility of knowing which Kalashnikov on which side killed who. It is more likely that the Syrian government, knowing full well the consequences of wanton violence, is being as careful as possible when engaging the armed elements even Secretary Clinton concedes are operating amongst the protesters. The Syrian government has been reporting mysterious gunmen since as early as late April, opening fire on protesters and security forces from rooftops. While the corporate-owned media attempted to play this off as Syrian propaganda, the rising death toll of government troops certainly cannot be attributed to "unarmed civilians." Articles like Christian Science Monitor's "Has Syria's peaceful uprising turned into an insurrection?" are attempting to now create the illusion that some sort of justified transition is occurring despite the fact that arsonists and gunmen had been ravaging Syria since the unrest started several months ago. Similar claims were made in Libya; both that seasoned rebels, driving tanks and manning warplanes with 30 years of foreign-backing for their militant activities were "peaceful protesters," and that Qaddafi was purposefully targeting civilians. The latter claims were made despite even the corporate-funded think-tanks engineering the conflict stating that Qaddafi was most likely making a point of avoiding civilian casualties. Further compromising the fantastical paradigm Secretary Clinton is attempting to foist upon the public is the corporate-funded Brookings Institution's "Which Path to Persia?" report which amounts to a brazen conspiracy to aid and abet terrorist organizations to violently overthrow sovereign nations in tandem with the very same foreign-funded popular revolutions we see now across the Arab world, all with "forms" of US military support on standby if necessary. The report explicitly states in regards to neighboring Iran, "Consequently, if the United States ever succeeds in sparking a revolt against the clerical regime, Washington may have to consider whether to provide it with some form of military support to prevent Tehran from crushing it. This requirement means that a popular revolution in Iran does not seem to fit the model of the “velvet revolutions” that occurred elsewhere. The point is that the Iranian regime may not be willing to go gently into that good night; instead, and unlike so many Eastern European regimes, it may choose to fight to the death. In those circumstances, if there is not external military assistance to the revolutionaries, they might not just fail but be massacred." Brookings' "Which Path to Persia?" report: a signed confession that indeed the US does conspire to fund, arm, and abet terrorists, sedition, popular revolutions, and even provoke unnecessary wars all for their "regional interests." "Consequently," the report continues, "if the United States is to pursue this policy, Washington must take this possibility into consideration. It adds some very important requirements to the list: either the policy must include ways to weaken the Iranian military or weaken the willingness of the regime’s leaders to call on the military, or else the United States must be ready to intervene to defeat it." After identical methods have been employed in Libya, Syria is currently suffering under a similarly prescribed, admittedly foreign-funded, plot backed by armed militants and possibly "some form of military support" from the United States, Israel, or Saudi Arabia. Certainly after several attempts to pass UN Security Council resolutions against Syria, the prospect of wider intervention is also "on the table." The Brookings Institution report also boastfully celebrates past exploits and regional manipulations including the arming and backing of the Kurds against Iraq. The report nostalgically recalls, " When the Shah of Iran, the United States, and Israel began to back Iraqi Kurds against Baghdad, it took only a few years for the Ba’thist regime to move against it—and only a matter of months of unsuccessful military campaigning to convince Saddam Husayn to cut a deal with the Shah to persuade him to cut his ties with the Kurds." With this admission in hand, we have a historical precedent backing the assertions of the Syrian government that indeed foreign meddlers are at work, both behind the protesters and the armed militants battling the government. Throughout Hillary Clinton's lengthy diatribe, she failed to even once condemn the violence she hinted at amongst the opposition. Just as in Libya, these shadowy militants will be denied until the very first NATO bombs strike Syrian soil, where they will then transform into citizen-soldiers nobly fighting for their freedom. In reality they are nothing more than the same ethnic minority groups manipulated and backed for decades against the global elite's long list of targets throughout the region. Capitulation under the perception of superiority would be unfortunate indeed. 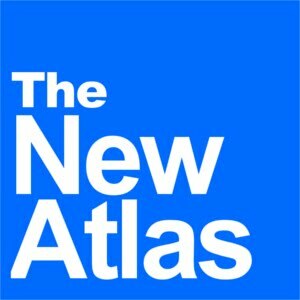 Clinton's need to pen an op-ed in a London-based Arab newspaper claiming "there is no going back in Syria" only reaffirms the fact that it is far from a foregone conclusion. Such a desperate act of propagandizing is indicative of weakness, not strength. When foisting massive fraud upon the planet, it will always be more people over time realizing it is a hoax than continuing to fall for it. Time is working against the global-elite. Once again, on the pages of the corporate-funded Brookings Institution report we see months, even years in advance the ploys and gambits that are to play out. 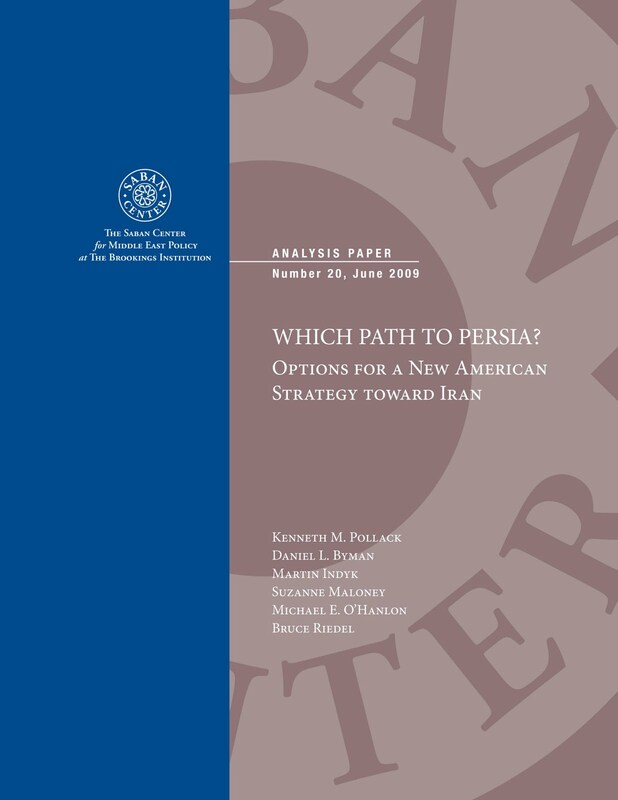 Brookings' "Which Path to Persia?" 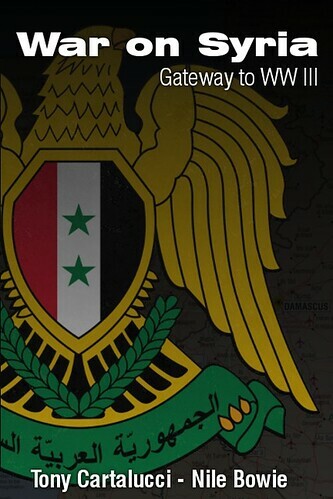 was the virtual playbook from which objectives and strategies regarding Libya and Syria were and are being drawn from. Understanding that these corporations and the think-tanks they fund are the true architects of Western foreign policy is the first step in ending these heinous crimes being committed in our name and ultimately at our expense. Hillary Clinton's brazen lies, unmitigated deception, and her crass insolence is irrefutable evidence that she and the government she works within have abdicated all of their legitimacy. Their open contempt for America's Constitution while they promote "universal rights" and the will of the "international community" means that we no longer bound to obey them as they are no longer bound to the laws that truly govern our land. The next step of course is undermining these corporations and the puppet institutions that serve them through full-spectrum boycotts and replacing them entirely on a local level.